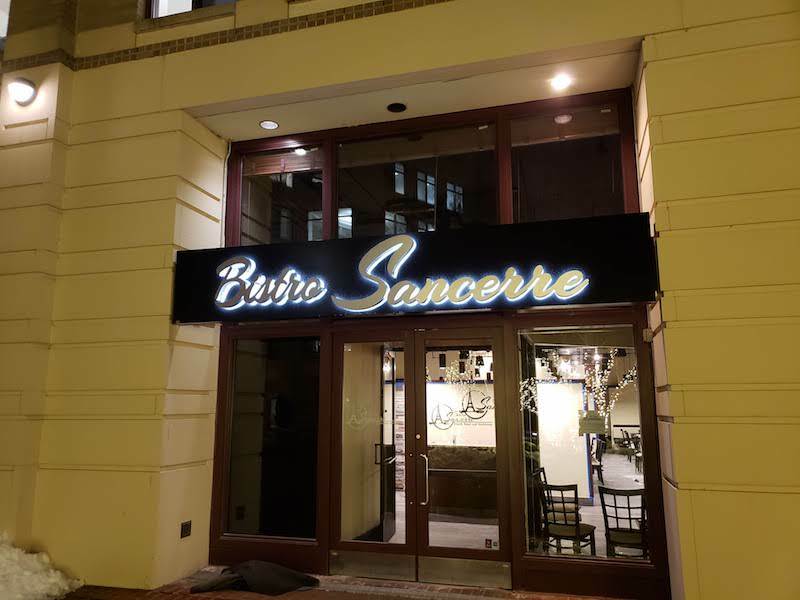 Bistro Sancerre, a new upscale French restaurant in Alexandria, Virginia, opens Saturday, January 19, 2019 at 1725 King Street in King Street Station. Details..
We hear that the owner of Grand Cru Wine Bar and Bistro in Ballston is planning to open a new french restaurant in the Upper King Street neighborhood in Old Town Alexandria, Virginia. Atlanta-based SunTrust Bank plans to close its banking branch at 1650 King Street in the Upper King Street neighborhood of Alexandria, Virginia at noon on Tuesday, April 17, 2018, according to a letter sent to bank customers. There is a new water main break this Sunday morning in the 200 block of South Payne Street in Old Town Alexandria, Virginia in the Upper King Street neighborhood. Today, (Wednesday, August 23), Borinquen Lunch Box food truck is serving on-street in the Upper King Street area of Old Town Alexandria, Virginia.